Strategic Planning Consulting Firm Richmond — The Spark Mill - we make change possible. Strategic planning should be fun, full of dreams, and give you the tools to make your plan come to life. A strategic plan is about your organization’s future, so it should feel like your plan, not ours. At The Spark Mill we see our role as guides to a collaborative process, where together we walk through your dreams and visions and turn them into reality. While this is a serious undertaking, it doesn’t have to be a boring one - strategic planning should be fun! 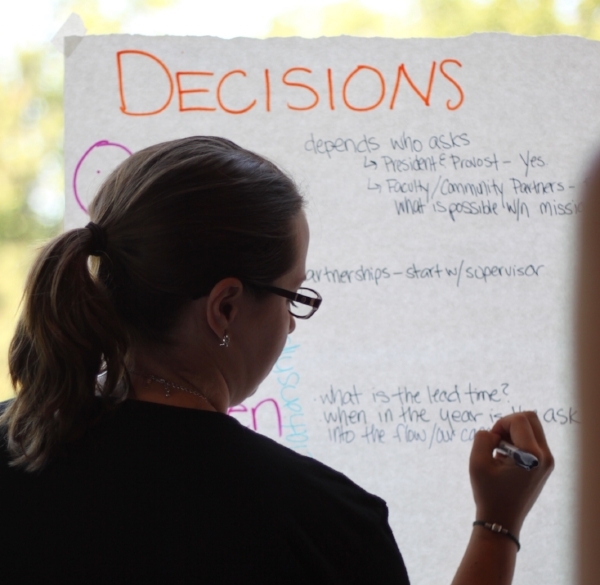 Our facilitators use creativity to help you build consensus, make hard decisions, and get excited about the future. The strategic planning process is a major investment for your organization, so we work hard to make sure you take away an actionable plan, not something that gathers dust on a shelf. Mapping out the implementation of your plan in a way that will be useful for you is a major focus ensuring you are equipped with next steps once the planning is complete. Sarah brings energy and clarity to the strategic planning process. She helped our team generate a concise, highly actionable, and dynamic plan that really pushed our team forward—together. Seven months later, we are still feeling that momentum.